There's no headache this morning! It feels so unbelievably good. I found this area in my neck at 5am ... because it was stiff and sore, so I rubbed and stretched it for a while and voila ... I woke with no pain. Meanwhile everything continues to happen here. My huge ring-binder folder, the one I use for my book-writing course, is full of assignments and we're only halfway through. It's been beyond excellent having to work out things like defining your book's genre, imagining how it will look - ideally. Hardcover or soft, photographs, text, binding-style, after learning about different options for bindings. Creating a vision board, a mind map, a set of core values for the book and the process. Listening to published author interviews, learning all that Christine Mason Miller knows from her publishing successes. Writing a synopsis and so much more. It's intense and although we only work with Christine for 6 weeks, the material remains available to us for 6 months. This course is all about fitting a book in around real life and all the distractions that most people live with ... which is so realistic for a creature like me. Last night I began trying to select books for the journey next week. I love reading at night in Genova. I'm still not an electronic book reader-type, although the Belgian bloke is working on me. My camera gear makes me a little sad about the extra weight I can't really carry in books but read I must. I have Kay Cooke's 2 poetry books on my desk, and 2 of Ren Powell's too. I'm thinking they would be a great study while I'm out wandering. Gert found me another Claire Messud book, secondhand, and I picked up Christos Tsiolkas's book, Dead Europe while in France but I think that one might be a little bit darker than I expect. Let's see it. Anyway, enough of that. I'm behind with my photo-editing. I was lucky enough to wander over to Brussels last weekend, to photograph my lovely colour therapist friend, Marcia's, beautiful family. I need to get on to that now that my head has stopped aching. 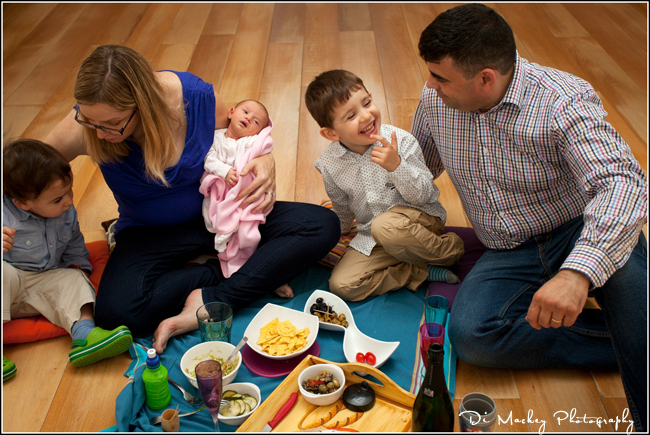 They are a truly, madly, deeply exquisite family and I so love photographing them. It took most of the day but it wasn't just about photography, there was also a delicious cooked lunch after the picnic captured below.